If you are in Israel, you don't have to search for very long to find someone who has been on the Kibbutz Sde Eliyahu. Located in the Beit Shean Valley, 30 minutes south of the Sea of Galilee, they have a variety of programs that draw people to this otherwise relatively rural area. There is an Ulpan for new immigrants to Israel looking to learn Hebrew; a program for IDF soldiers who have finished their duty and are interested in learning Jewish studies while working on a farm; and, perhaps what they are most well-known for - an organic farm. While other Kibbutzim may earn some of their income from fruit or wine, Sde Eliyahu is unique in that the residents earn their livelihood exclusively from agriculture. The Kibbutz is religiously affiliated with the Dati Leumi sect, also known as National Religious, and boast on their website that they grow all seven species of produce that the Torah designates as special in the land of Israel. 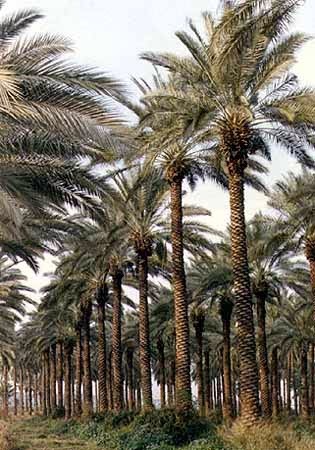 Sde Eliyahu's organic date orchard features nine different types of dates. And what's really unique about it's orchard is the heard of donkeys that parade around eating the shrubs, weeds and fallen dates keeping the earth optimal for growth. However, their real expertise can be found in the two companies they founded. One is Bio-Bee, which grows beneficial insects and mites, and sells them to other farms to use instead of chemicals to manage unwanted pests. Bio-Bee is well known for it's mass production of bumblebees as a natural solution to pollination for use in green house and open field crops. In gardening circles it's pretty well known that lady bugs are a gardeners friend when it comes to preventing other bugs from eating your tomatoes before you do, but they have identified predatory relationships for some of the most common pest problems, and have made a profit while helping the planet. They also produce sterile male Mediterranean fruit flies, a difficult to get rid of strain of fruit flies. The sterile males mate with females, but then don't produce any offspring. As you may recall from high school science lab, fruit flies have a very short lifespan, so this is a way to naturally prevent the flies from maintaining a presence. The Kibbutz also keeps small mammals from becoming a nuisance by birds of prey to 'naturally' take care of them. Another company, SDA Spice, sells spices and dried herbs all over the world. The site is very helpful in that they tell you medicinal qualities of the various herb and spice mixtures they sell, for a more traditional way of treating ailments. In addition to crops, the Kibbutz also has a fish pond, poultry houses, and a (רפת) "refet"- Hebrew for 'cow shed'. You know the ancient Hebrews were an agrarian society when there exists a specific word for the place that cows live. There is also a store where the public (that is, not just people on the Kibbutz) can buy all sorts of organic kosher food. But they are really famous for their organic farming. I had mentioned to my dentist last year that I was going on a sabbatical of sorts to Israel for a while. "Isn't that where Sde Eliyahu the organic farm is?" You wouldn't think that vegetables would be the first thing someone would associate with Israel, but as it turns out many years ago his wife was having food allergies and a doctor told her to eat only organic produce. This was before you could pop into Whole Foods and get organic pretzels or soda, so the doctor in Maryland had actually suggested a farm that was know for growing organic food. That's pretty famous. The Kibbutz Bio-Tours are available to anyone who want to see their work first-hand. Sde Eliyahu has a lot to offer everyone. And the next time someone mentions Sde Eliyahu, you'll be able to say, "Hey, I know that place!"